We will have hours and days together in serious reflections on ideas relating to the Bible and how Culture affects History, and how Society exhibits belief. With access to a library of lectures, books and articles we will consider why and how our world, in which rules from laws, trade, and diplomacy bound many societies and their people, their trade and other exchanges into mutually beneficial and dependent entities, is now more fragmented. The spread of nationalism creates splits in the fabric of an international order that was formerly sustained by rationality, respect, law, and advocacy of universal human rights. In long discussions over meals, on walks, and while working together we will seek to understand how people think, live and cope. Our chalet and the Francis A Schaeffer Foundation is located in Gryon, near the Eastern end of Lake Geneva, Switzerland at 1200 meters altitude in the Alpes. It is a good time to work through some of the questions we have had about the world we live in and our responsibilities and opportunities as human beings. In the context of occasional lectures, serious discussions over long meals, during hikes in the mountains and on one of study trips we take to nearby sites of interest we address issues and concerns you may have and provide a broader context to discover the truth, unique coherence, beauty and hope of historic Christianity. The only reason, after all, to be a Christian is that Christianity is true to the real world. It involves an acknowledgment of what can be known about God, creation, human beings, the real world and efforts to limit the effects of our predicaments. 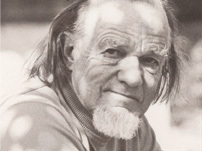 The days here are spent in individual morning study of recorded lectures by Dr. and Mrs. Schaeffer as well as by us on Biblical and cultural subjects in the expectation of sharpening our understanding of a Biblical perspective of the world and our life in it. Both lunch and dinner are extended times for conversation and discussion on questions relating to and arising from the studies. Your interests and questions are central at any time as we bring together the roots of Biblical Christianity, its cultural impact through the centuries, the effects of both Reformation and the later counter movement of the Enlightenment and her children: post-modernism and multi-culturalism. We reflect on the weakening influence of the Church on society, as we address its focus on techniques of church growth, irrational spirituality and the effect of a Disney mentality. They make an understanding of historic Christianity less plausible to, and less understandable in, modern society. Of course you are not required to agree or to sign anything. The only request is that you are interested to discuss those urgent and central questions human beings have always grappled with through the ages out of a desire to consider the answers given in the Biblical perspective explaining the Truth about God, Man, and the real world we inhabit. In the afternoons we work some to keep the place tidy. Once a week we travel to a location, where the effect of a world view on the social, cultural, economic life of people and society are examined and we reflect on the need to understand Christianity as something more than personal peace, good feelings and a private religion. Students study and sleep in an old wooden chalet across the path from us. With a kitchen and showers in each of three flats it gives the warmth and comfort of an old Swiss chalet. But at least half the day and all evening is spent in our home. Saturday is a day off for your own use. On Sunday we try to attend services of an English-speaking church or have our own study together. The cost for everything is 80 Swiss Francs per day/person (The US $ amount varies according to exchange rates) plus about 5 francs for a tourist tax, which gives access to all kinds of local transport, including the cable car up the mountain.. You should bring casual clothes and comfortable shoes. For people from Southern regions it can be quite cool and/or rainy at times, even during the summer. But when the sun shines we always eat out-of-doors. Let us know whether a time with us would interest you. When you decide that such a time would be beneficial, please contact us soon. Gryon is reached from the Geneva airport by using the Lausanne-Aigle-Bex-Sion-Brigue train. At Bex you take the red cog-wheel train BVB (tickets in the station) to BOIS-GENTIL, where we shall gladly fetch you, if you let us know.